Here, Sindelar highlights several educational opportunities for booksellers to take advantage of in their ongoing journey of becoming a better bookseller and businessperson. Here, ABA’s CEO reflects on the bustling holiday shopping season at indie bookstores and looks ahead to the upcoming Winter Institute. Here, Teicher encourages booksellers to gear up for the holiday sales season as well as the sixth annual celebration of Indies First on Small Business Saturday. Here, ABA CEO Oren Teicher discusses the recent U.S. Supreme Court decision to reverse a long-standing precedent and rule that all retailers — both bricks-and-mortar and online — must collect sales tax for online orders. 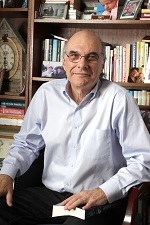 Here, ABA CEO Oren Teicher discusses the numerous events and programs taking place at BookExpo later this month in New York City and looks ahead to next month’s Children’s Institute. In a letter to members, ABA President Robert Sindelar looks ahead to BookExpo 2018 and a series of upcoming publisher partner meetings to discuss indie bookstore-publisher relationships. Here, ABA’s CEO looks ahead to the upcoming Spring Forums, which are now in their 20th year, and to BookExpo, set for May 30 – June 1 at New York City’s Javits Center. In a letter to ABA members, ABA President Robert Sindelar looks back on the highlights of Winter Institute 13 and ahead to the Spring Forums. Here, ABA’s CEO reflects on the highlights of 2017, including his trip to two indie bookstores over the holidays, and looks ahead to the upcoming Winter Institute and the rest of 2018.